Thank you for signing up for our newsletter. 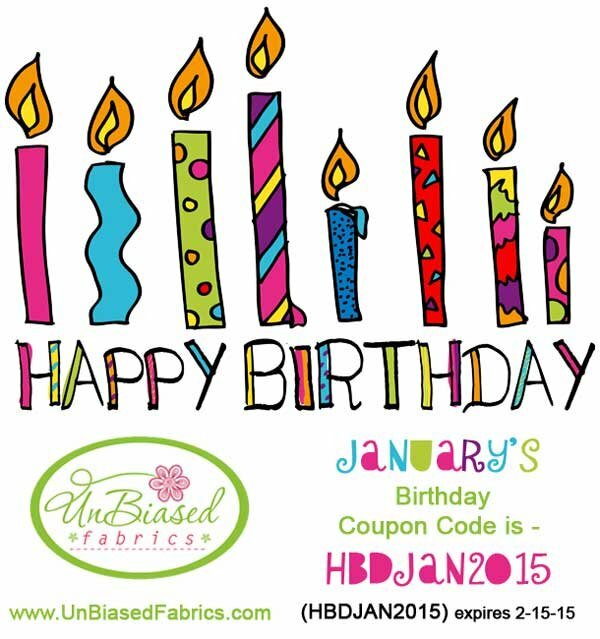 January's Birthday coupon code is "HBDJAN2015". Please enter this code at checkout. It will show up as a $5 discount on a minimum $10 order. When your order is processed, actual shipping fees over $5 will also be discounted. For international customers, your actual discount amount will be equal to the shipping charge for the same package size in the USA. Small package small credit, big package, bigger credit! Coupon expires midnight Feb 15, 2015 PST.